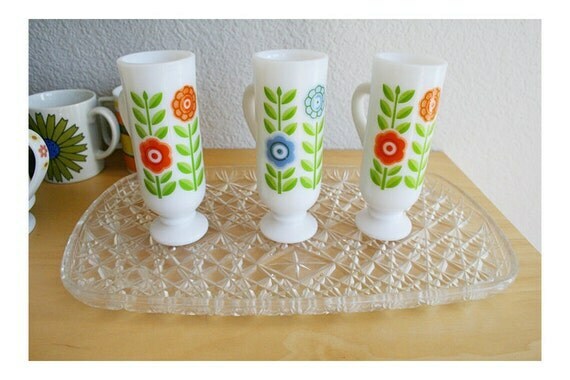 Starburst Plastic Tray, for collection of bracelets. 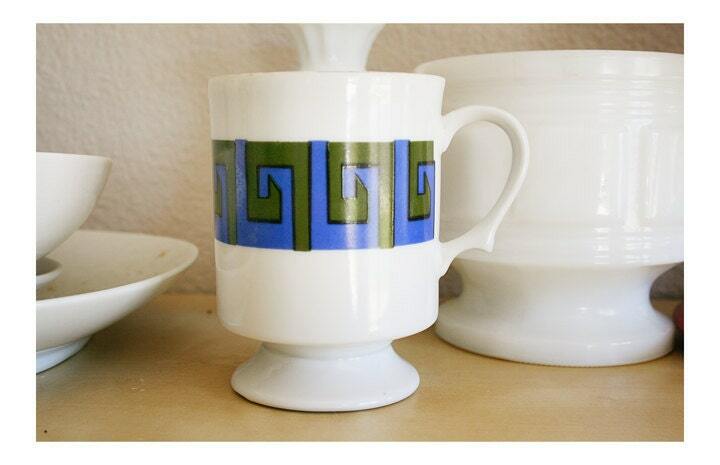 Greek Key Pattern Mug, such great detail on the handle. 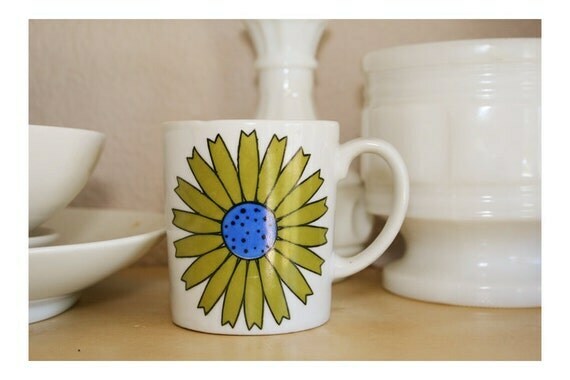 Petite Green Daisy Mug, flower power meets coffee power. 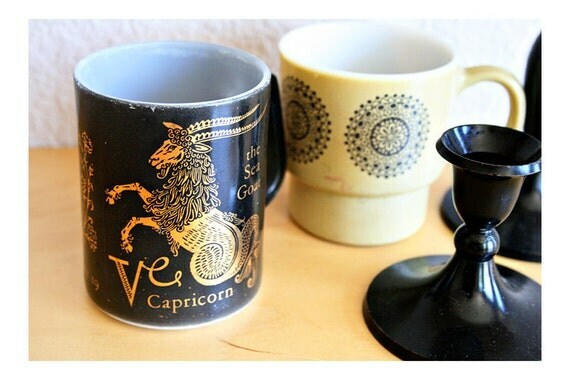 Milkglass Capricorn Mug, it says, “The Sea Goat” on it. Which, hi. Awesome. 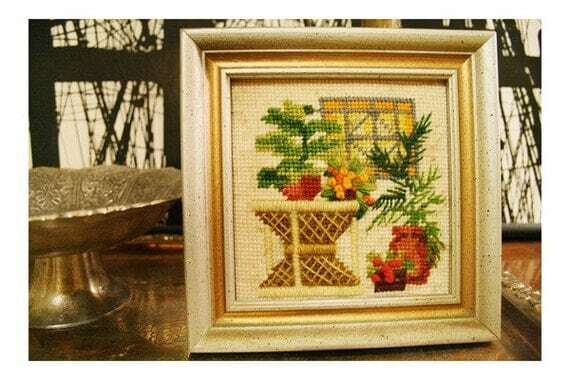 Houseplant Needlepoint, perfect size for a stocking.